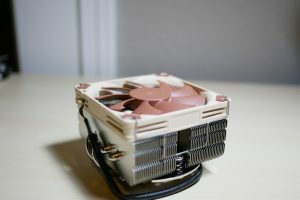 Overclocking has grown from a small following to a world-wide e-Sport, its fair to say that this once small time hobby has now firmly grown roots in the hardware enthusiast scene. Today we are going to round-up the best overclocking software. Some you may have heard of and others you may haven’t however, they all serve one purpose – stress test your hardware to its maximum capacity and ensure your overclocks are nice and stable. Let’s start with monitoring software. CPU-z needs no introduction having been the king of CPU information reporting, statistics and frequency verification for years. I have been overclocking coming up to 15 years now and have used it from the start, it’s also the de-facto tool used to verify overclocking records around the world. This nifty CPU monitoring program reports all sorts of stats such as CPU socket, manufacturing process, dynamic Vcore, core speed and multiplier just to name a few. It’s a must have tool in any overclockers arsenal. GPU-z replicates what CPU-z does but instead as the name suggests it reports the same statistics for your GPU. 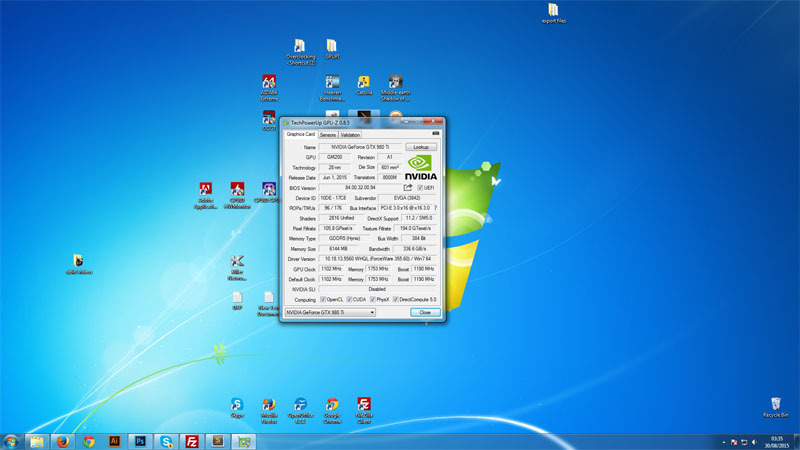 It’s a great tool that is used all the time for verifying GPU overclocks. Another must have overclocking tool. 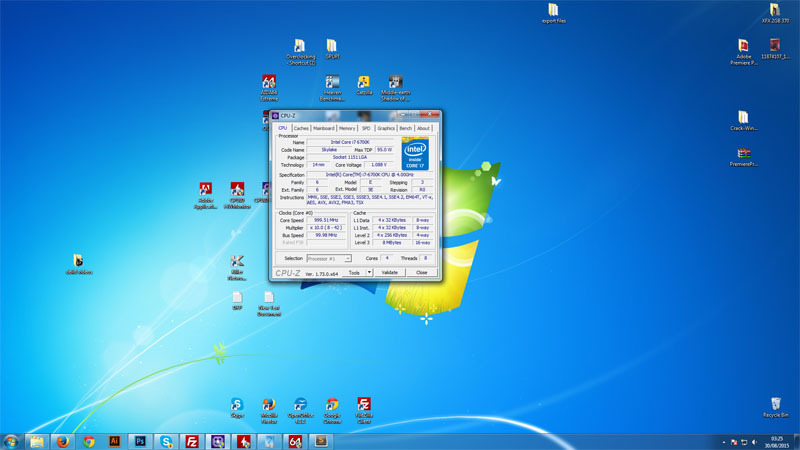 Hardware Monitor was created by the same guys who created CPU-z, CPUID. This tool goes a little further than CPU-z reporting all kinds of useful statistics. Basically, if a component in your PC has a temperature or voltage sensor then this nifty system monitor will monitor and report it through its simple UI – best of all its free. 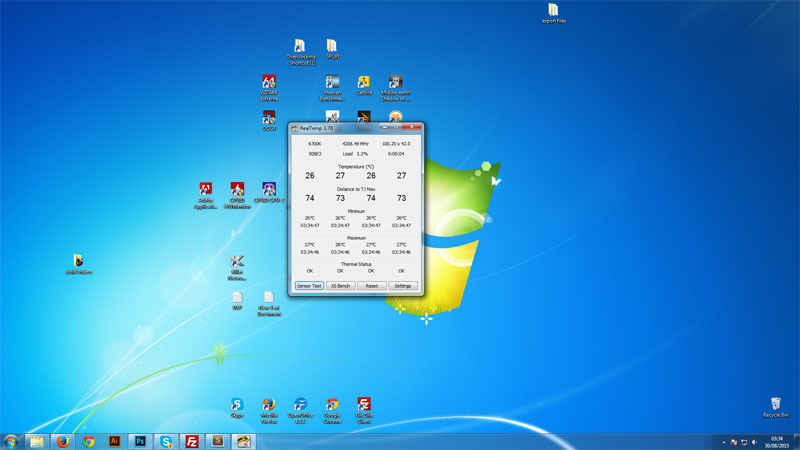 Real temp is a great CPU temperature reporting program that does what it says on the box. It’s a real-time CPU temperature monitor. Maybe its a placebo effect but it seem to update more frequently that other programs I use. I normally use this program in conjunction with HWMonitor to gauge actual core temperatures. Next up we have overclocking utilities! Overclocking has become insanely easy to do on the fly these days with most motherboards coming with easy tuning options. One click of a button and you can be rocking a 500Mhz overclocking albeit with some extra voltage thrown in but, where’s the fun in that? 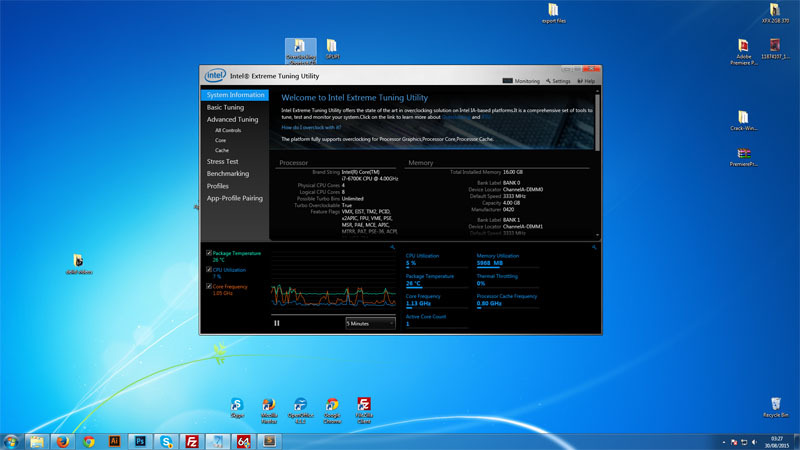 Extreme Tuning Utility is an overclocking program created by Intel and has a whole host of neat features that really make this a must have suite of overclocking tools Afro every Intel owner. When overclocking our Devils Canyon processor I will always use a few rounds of XTU over something like Prime95, especially when using off-set voltage. 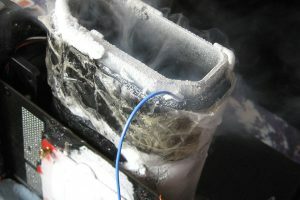 There is a small known issue where too much voltage is delivered to the CPU and can cause things to get a little hairy. 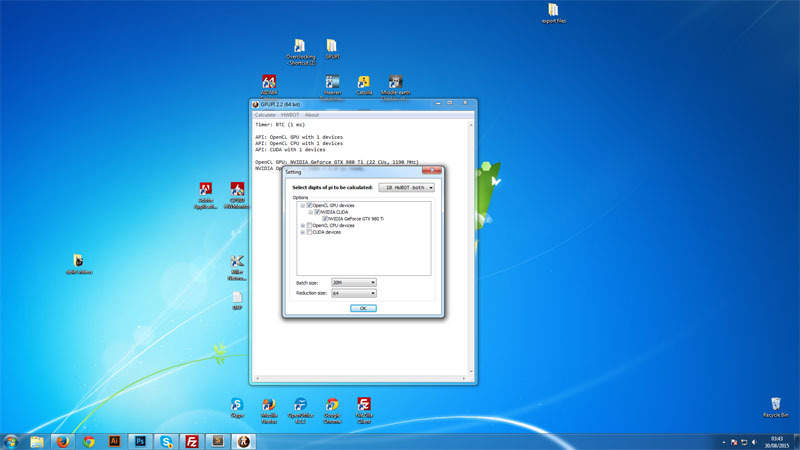 AMD Overdrive is a CPU overclocking tool solely for AMD users. 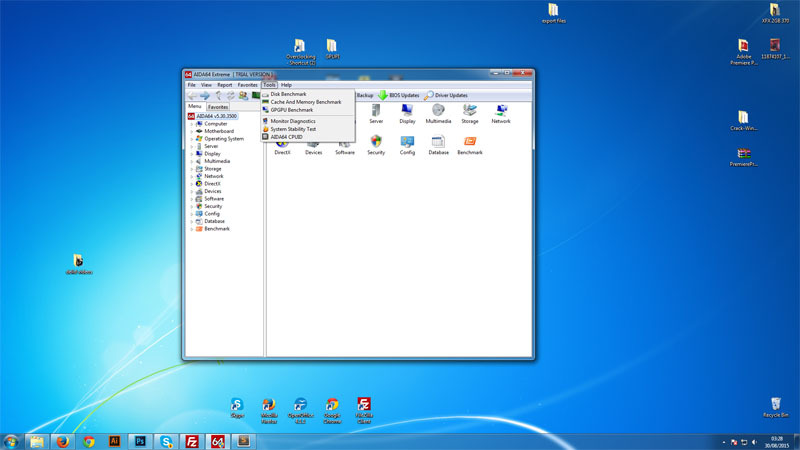 it provides an extensive tool set to modify your system from the comfort of your windows desktop. It has an impressive array of options and tweaks from fan monitor, voltages, frequency buses, the ability to change CPU clock speed, multipliers and voltages for the CPU, Memory and HT technology. 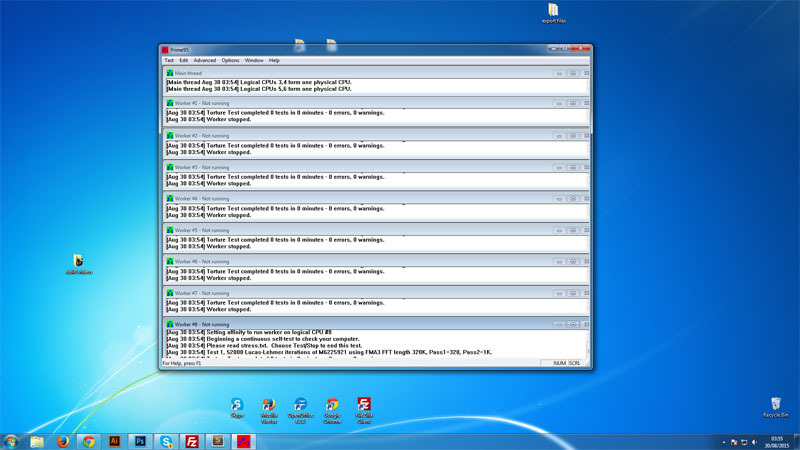 MSI Afterburner is another gpu overclocking and statistics program that has been around for a long time. 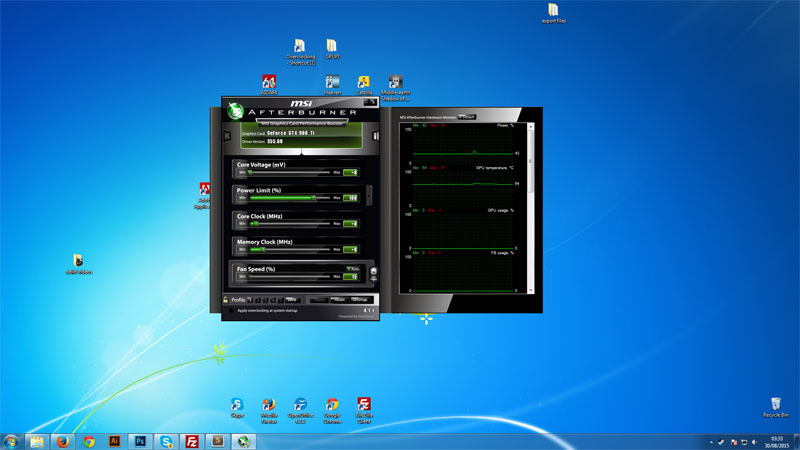 The great thing about this Overclocking tool is that its universal with both AMD and NVIDIA video cards. It has a host of useful options that allows you to both overclock and monitor vitals without leaving the Windows. 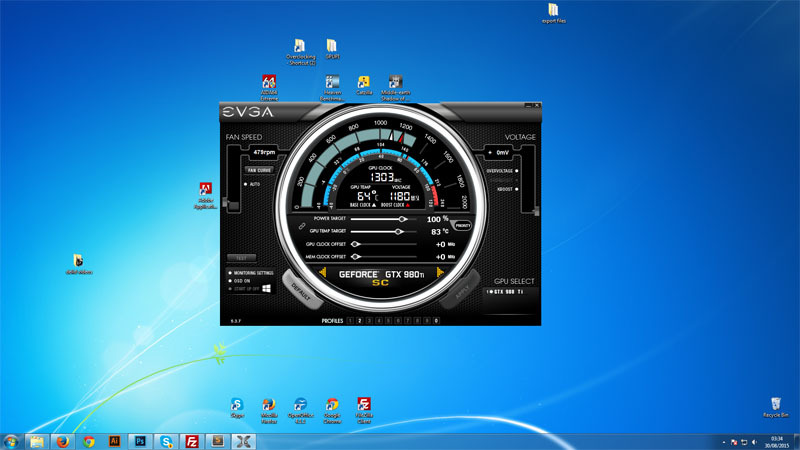 EVGA Precision X is an Nvidia GPU overclocking tool that functions very much the same as MSI after burner except with a slightly different UI and for GeForce video cards. I wouldn’t say one is better than the other but rather comes down to personal preference. Give them both a try to see which one you like. 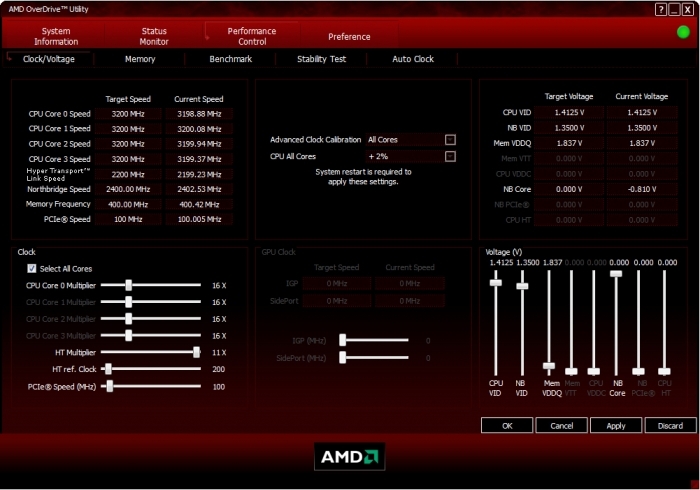 Another GPU tweaking and overclocking tool but this time for AMD Radeon Graphics cards. It’s well-known in the overclocking community as one of the best and as a result earns a place on this list. 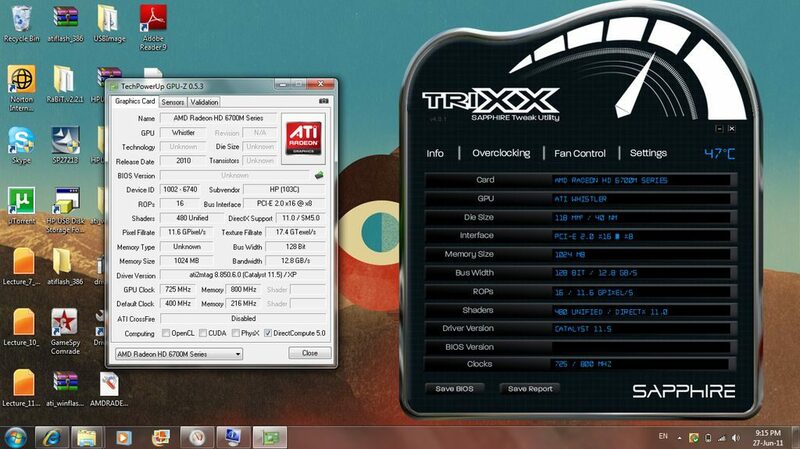 It’s a feature packed Radeon overclocking tool you should definitely check out. Its been around as long as I can remember and is one of the best when it comes to stress testing your overclocks. It works by processing intensive mathematical sums and equations placing extensive load on your RAM, CPU and Power Supply. Most people including myself suggest running prime95 for a minimum of 12 – 24 hours, If your computer crashes then you know your overclock is unstable. 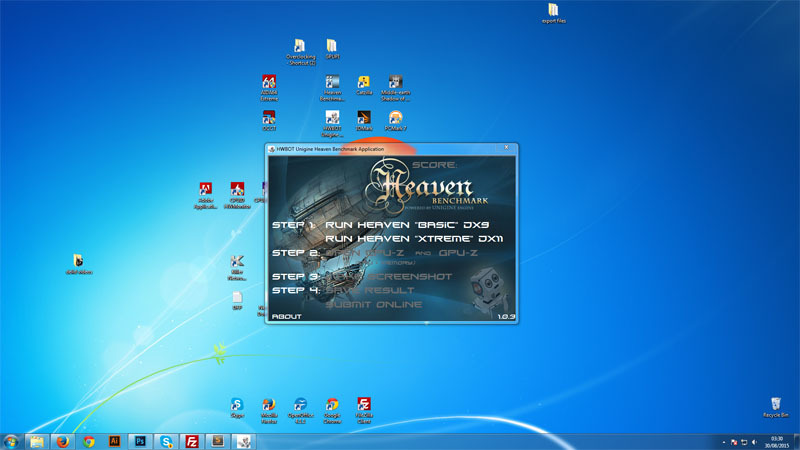 This is an amazing tool that every overclocker needs however, if you are a Haswell owner be careful when using Prime95, it’s well-known that AVX instruction set can damage your chip when using offset vcore and prime 95. AIDA64 is a rock solid stability tester that has a comprehensive suite of benchmarks, system statistics and information at your disposal. It allows you to stress test various components in your system at varying intensities. It’s a core part of the Performance PSU testing suite and for good reason – It’s really great at what it does. 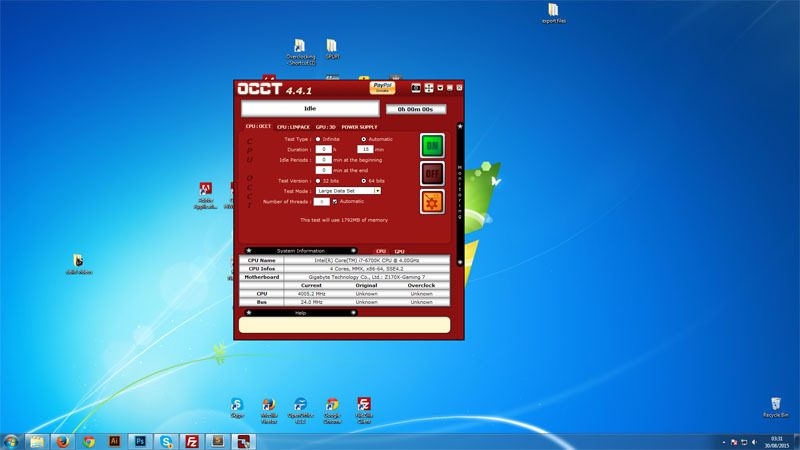 OCCT CPU Stress Test has stood the test of time and as a result is one of the best tool for ramping up voltages and temperatures. It allows you to run infinite or timed loops using 32-bit or 64-bit calculations. We use this as part of our test suite as the final test to make sure our overclocks are rock solid. PCMark 7 is not really a dedicated CPU bench mark but even for a trial benchmark it does do a great job of putting your entire system under load. The paid version of PCMark 7 does provide a bigger suite of tests but is not a necessity to purchase. Nothing can beat a solid gaming session. You can have as many tools as you want in your arsenal to make sure your overclocks are stable but even tools don’t always show up the cracks. 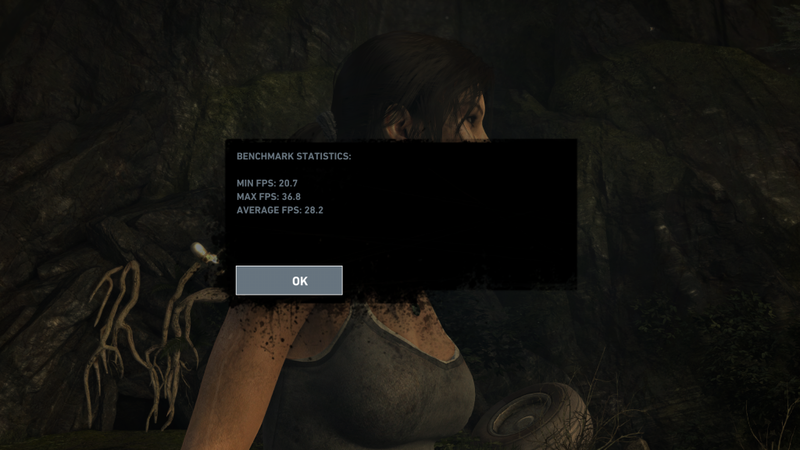 there has been times when Prime95 and AIDA have both come back clear even after 24 hours but, an Hour of Tomb Raider at the highest possible settings can bring a stable pc down to its knees with ease. When you have finished stability testing your machine, make sure to have a good gaming session. Let’s take a look at the GPU stress tests and benchmarks. 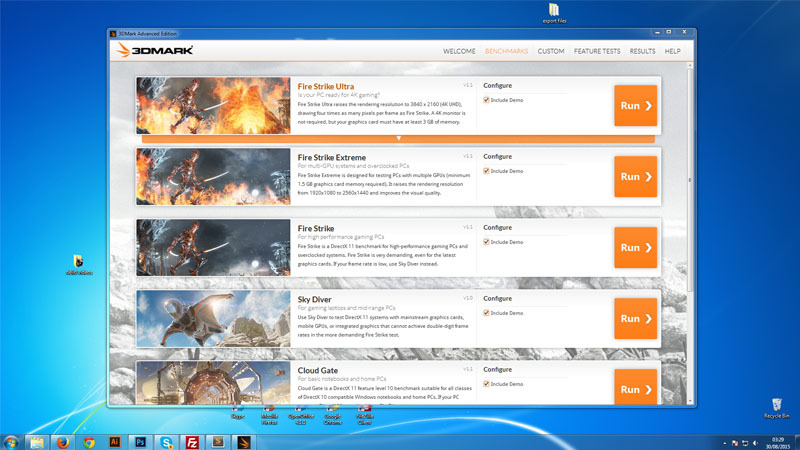 While not strictly a stability testing tool, The 3dMark suite of video stress testing software does a great job of placing considerable load on your graphics card while still putting the rest of your system under some load. It provides a quick, accessible and free way for you to measurably see the performance increase of your overclocking efforts. This is an essential tool that any serious overclocker gamer needs to have in his arsenal. 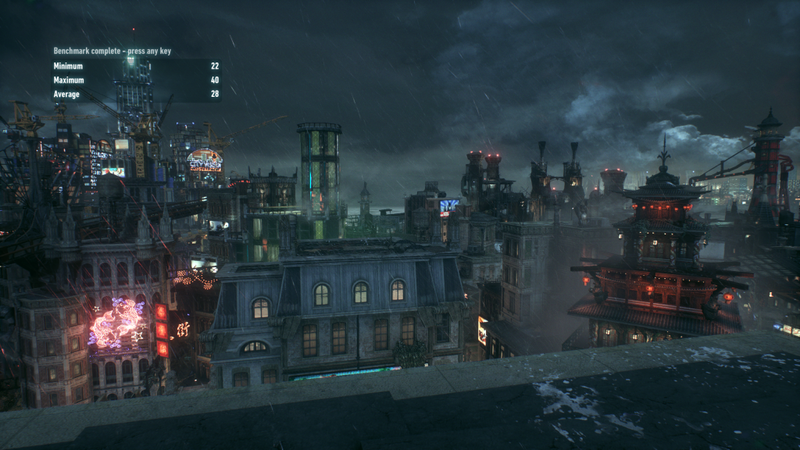 This benchmark is primarily a GPU benchmark and stress test however, it does stress the CPU at times as well with its built-in CPU physics test. Cazilla features a leader board in case you hit the silicone lottery or feeling adventurous with LN2 overclocking. Unigine engine is a dreamy world of dragons, huge ‘bioshock style’ blimps and cute thatched cottages. This stress test will show up any flaws your GPU has by the time it hits the last frame. When you start-up this benchmark, turn up the sound, sit back and relax. 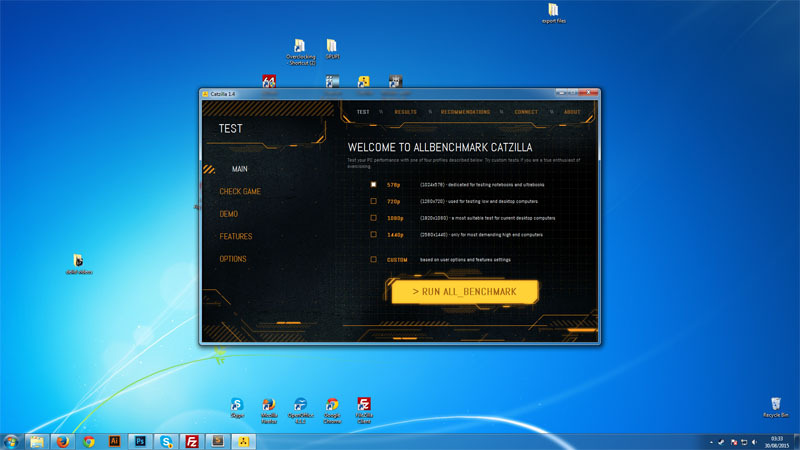 You might not remember ATI’s (now AMD) nifty little GPU stability testing tool – ATI Tool. For yeas it was used by many to show up the flaws in their hardware and to ensure overclocks are solid, but over time it stopped getting supported and died a horrible death. 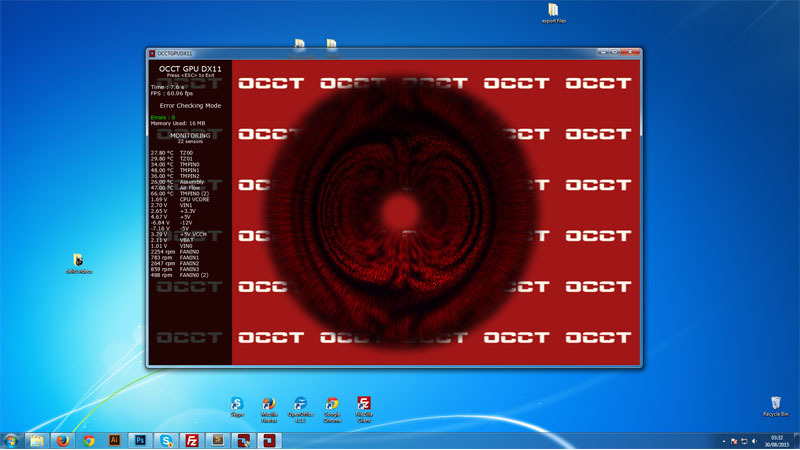 That has all changed and OCCT has replicated this stability test with their GPU stress test. For the old timers, it’s a nice touch to see fond memories back in use. GPUPI is a great application that mimics SuperPI. It’s also a great stress test for your GPU when you complete a few rounds of 32B calculations. I have taken GPUs way past where they normally crash using the 1M test but never has graphics card managed to complete 5 rounds of GPUPI 32B back to back. There is a lot of overclocking software and tools around so we may not of listed them all however, the ones we have listed are a great place to get started. 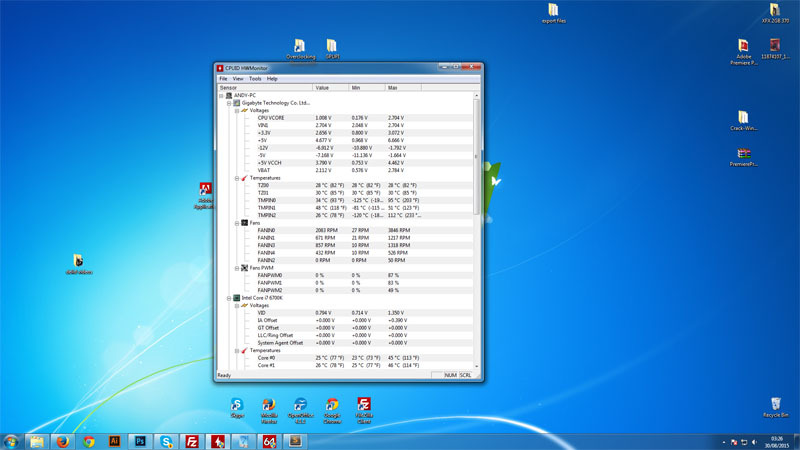 Do you use an overclocking benchmark or tool we haven’t listed here and want us to add it? No problem! leave a comment below and we will get it added in.